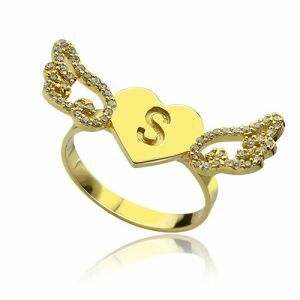 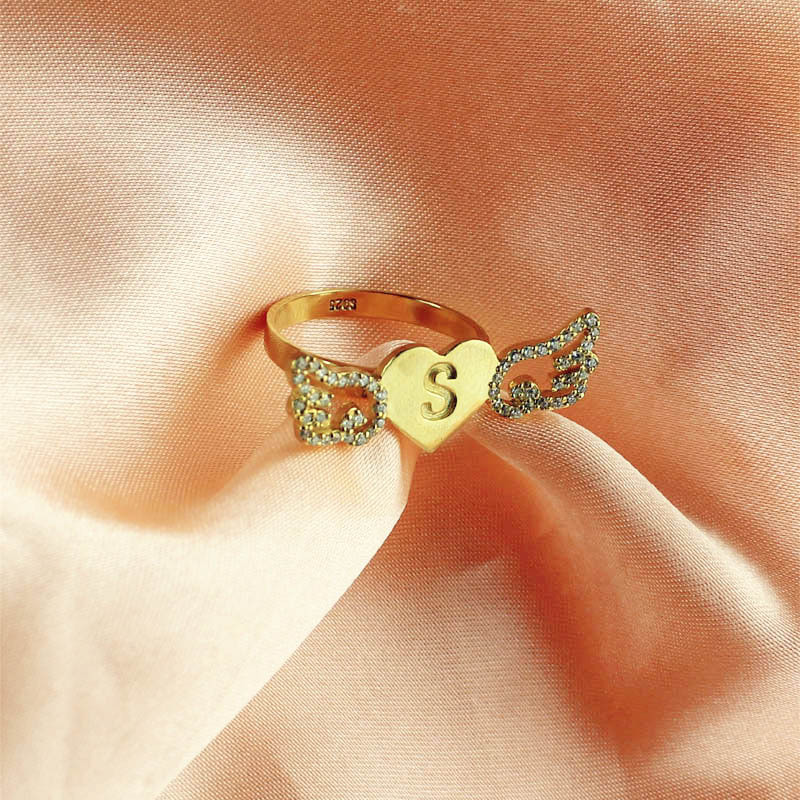 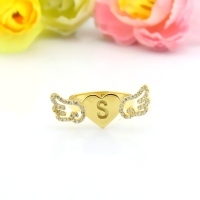 Angel Wings Heart Ring with Birthstone & Initial 18k Gold Plated - Angel Wings with Heart is great way to show your pure love. 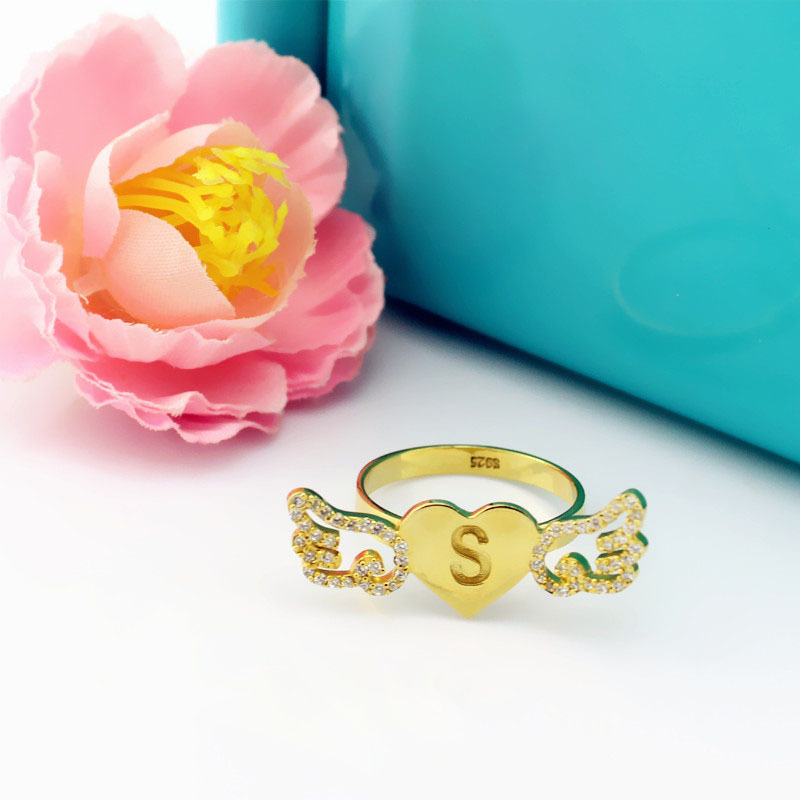 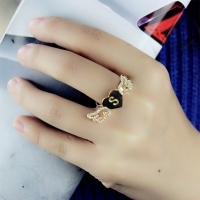 You can personalized any letter on this love ring. Unique type wing ring special for you.